The British Museum. Ancientgreece.co.uk. January 29, 2015. http://www.ancientgreece.co.uk/. Sakoulas, Thomas. Ancient-Greece.org. January 25, 2015. http://ancient-greece.org/images/museums/athens-aegean/pages/athens-mus-aegean002.html. The J. Paul Getty Museum. January 29, 2015. http://www.getty.edu/art/gettyguide/artObjectDetails?artobj=12928. Marble; 14 ⅛ x 3 ¾ x 11 1/16 in. 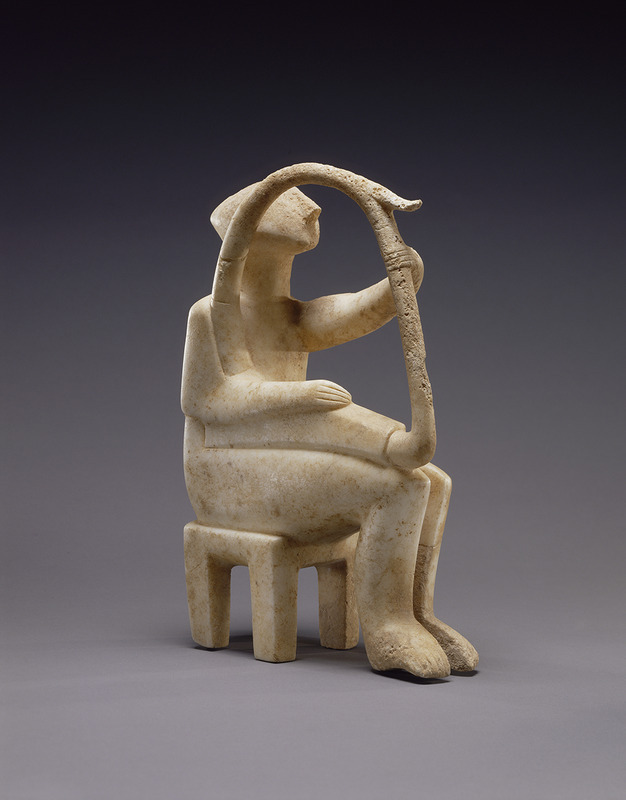 Unknown, “Harp Player,” Introduction to Art History: Mapping the Movement of Men and Materials, accessed April 24, 2019, http://arthist101.dukewired.net/omeka/items/show/44.